Amongst some of the most beautiful and elegant floorings are natural stone floor tiles. 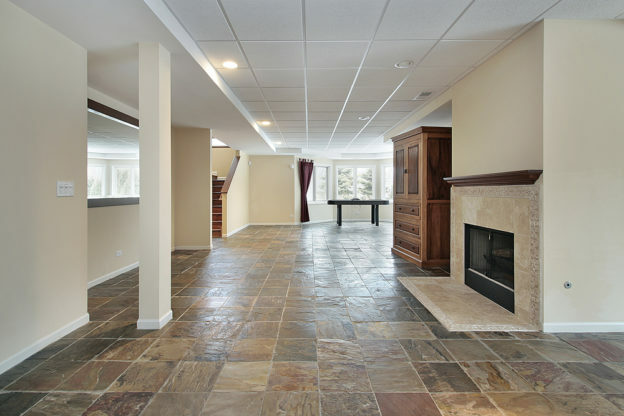 Not only do they look amazing, but there are also many other benefits to having stone tile flooring. In addition to their appearance, natural stone floor tiles are fairly easy to maintain. They’re durable and sometimes seem to be resistant to stains. This kind of flooring is versatile and allows you to give your home a unique look that can’t really be duplicated. But, even with all of these wonderful advantages, people who have stone tile floors may experience some issues. There are a few problems that you might see if you have natural stone floor tiles. Staining: Although some natural stone floor tiles appear to be stain-resistant, your stone flooring could be stained if it goes untreated. Dangerous: Caution! Some stone flooring can be very slippery when there is moisture! Discoloration: Sometimes, natural stone floor tiles can start to look yellowish. This can be due to dirt or aged coating. In other cases, natural stones will turn yellow due to their age or as a result of oxidizing. Cracks: You might see your stone floor cracking. This might be due to pressure or the settling of the stones. Shine Disappearance: In some situations, natural stone floor tiles can lose their shine. This is usually a sign of wear. Sensitivity: Natural stone flooring can also be very sensitive to acids. You may have seen various spots on your flooring that have been damaged by acidic products. Many cleaning products have acid in them, so, it’s very likely that the damage happened due to a liquid that was used for cleaning the floors. In addition to these issues, many natural stones are also prone to chipping. This may not be a major concern, depending on the severity of the cracks or chips. But, it can be dangerous or unattractive. So, you may want to get repairs done to your flooring. Remember how we mentioned that stone floors are unique? That can be both good and bad. Of course, it’s nice to have beautiful floors that are one of a kind. But, it’s also unfortunate because, when you need to replace or repair damages, you may not be able to find any tiles that will perfectly match the ones you have. Also, stone tiles can be extremely heavy. This can lead to issues after installation. As far as maintenance goes, it’s not extremely difficult to clean stone tiles. But, you may have noticed that you need to reseal your flooring after a number of years. If you currently have natural stone floor tiles, you may have experienced some of the problems we’ve mentioned. Maybe you’ve seen some damages that may be hard to repair. Or, perhaps, you’re just ready for a new look in your home. If you want to change things around and get new flooring installed, the first step is to get rid of the flooring you have. That’s where we come in! We are DustBusters Floor Removal and we can help take care of that first step for you! Just contact us today to get started on your home transformation!